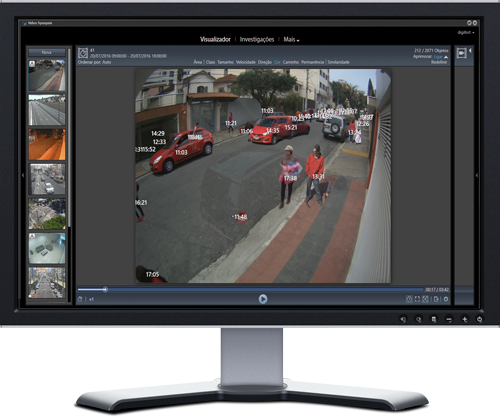 Digifort's new Video Synopsis module offers innovative features and tools for video forensics and electronic surveillance projects. The Synopsis video module is able to reduce the review time of a particular video for forensic (investigative) purposes - the reduction such video is from hours to minutes. This reduction is made possible thanks to a proprietary compression of the video information. This compression creates a visual summary, which allows the operator to visualize several events occurring at different times and being shown simultaneously – overlaying all items while displaying their individual time codes. Digifort Synopsis delivers agility, objectivity and speed in its search, with filters for color, size, direction of travel and schedules among others. Greatly reducing the analysis of long hours of video into minutes. 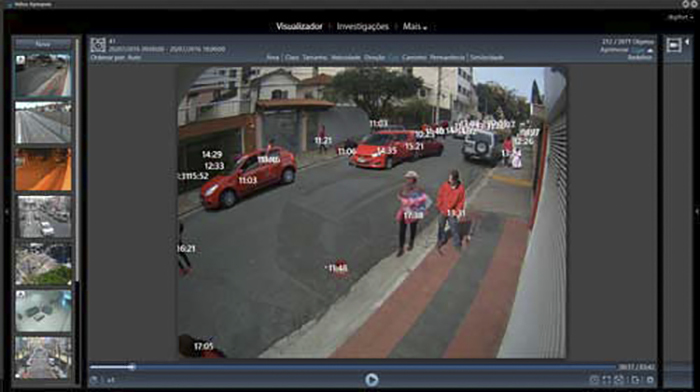 Allowing easy and fast identification and location of specific individuals, objects or scenes. It’s a requirement to house this module in its own server to maximize processing power and speed of use. Video Synopsis is a separate module, which requires its own license purchase. Counting and location by color. Locating people lost in public places. Forensic analysis and search hours of videos in minutes. Investigation of sabotage, theft or robbery in various locations. Search for direction, speed, idleness or object size.